SAN DIEGO, Calif. /California Newswire/ — Bank of Southern California, N.A. (OTC Pink: BCAL / OTCMKTS:BCAL) has completed the purchase of the deposits of the La Quinta branch of Opus Bank. The transaction closed on Friday, August 19, 2016. Customers of the Opus Bank La Quinta branch were consolidated into the existing La Quinta branch of Bank of Southern California. As of Monday, August 22, 2016, the former Opus Bank La Quinta customers now have access to all Bank of Southern California locations, including three Coachella Valley branches located in La Quinta, El Paseo-Palm Desert, and Rancho Mirage. This purchase marks the fourth acquisition in the Coachella Valley for Bank of Southern California, who acquired the La Quinta and Palm Springs branches of Palm Desert National Bank in December 2010, the Palm Desert branch of AmericanWest Bank in January 2014, and the El Paseo-Palm Desert and Rancho Mirage branches of Frontier Bank dba El Paseo Bank in December 2014. “The Coachella Valley has lost many of its community banks over the years, and Bank of Southern California fills that void offering a personalized, high level of service, community bankers who are actively involved in the community, and a full menu of business and consumer banking products. The bank has served the Desert Cities region for nearly six years, with three strategically located branches that serve the entire valley,” commented Nathan Rogge, President and CEO of Bank of Southern California. “We welcome our new customers from Opus Bank, and look forward to serving them,” concluded Rogge. 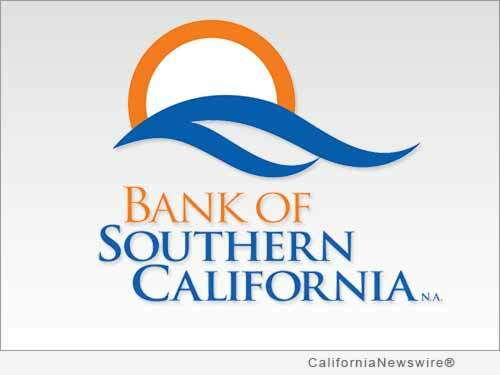 To learn more about Bank of Southern California, visit http://www.banksocal.com/. A growing community bank, established in 2001, Bank of Southern California, N.A., with headquarters in San Diego, Calif., is locally owned and managed, and offers a wide range of financial products to individuals, professionals, and small-to-mid sized businesses. The bank’s solution-driven, relationship-based approach to banking provides accessibility to decision makers and enhances value through strong partnerships with their clients. The bank currently operates seven branches in San Diego and the Coachella Valley in Riverside County. For more information, please visit http://www.banksocal.com/ or call (858) 847-4780.